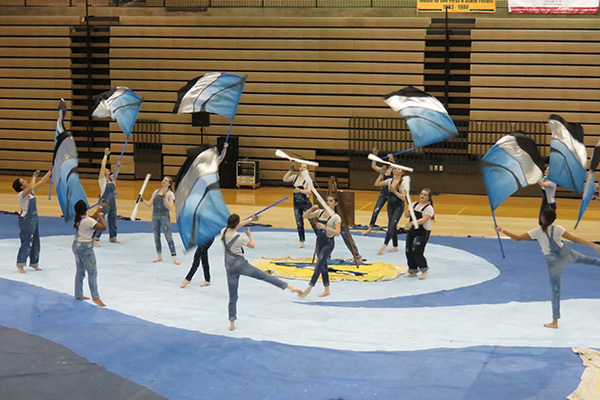 Winter Guard competes at Northview High School (3140 W SR 340, Brazil, IN 47834). It’s a little less than a two hour drive from Fishers. Due to time constraints, there will not be a meal provided. Water bottles will be. Please eat prior to arrival, & bring a sack breakfast for the bus. It is very important that the girls clean up after themselves on the bus. Also, please bring money for the concession stand, as there is a little time to eat after the performance. Roland Soe is transporting the tarp and props to and from the competition in his van. Bob Kantner and Scott Powell will help with props again. At least one more adult is needed to help with props through the line, and support from the stands will be needed to remove the tarp. Please let Scott Treeger know if you can help. Heather Ciscell & Deb Murdock are bus chaperones this week. 3) Prop help & we will need help from the stands for the tarp. Please contact Scott Treeger woth questions or to volunteer.